Continuing the wonderful surprise of Kings Emmy submissions is the wonderful Susanna Thompson in Lead Actress. Susanna Thompson may have been the only actress suited for the role of Queen Rose Benjamin on Kings. Most people will know Sebastian Stan from watching Gossip Girl, but if you want to see him really give a performance, look no further than him playing Prince Jack Benjamin on Kings. The Emmy ballots were posted today, June 4th and it was a pleasant surprise to see several submissions from NBC’s incredible Kings. I knew the episodes that aired last Summer were eligible, but didn’t think they would submit themselves for consideration, but they did. In addition to the submissions for Costume (The New King, Parts 1 and 2), Sound Editing and Sound Mixing (The New King, Part 1), and Hairstyling (The Sabbath Queen), there were three submissions in the big categories, one of them for Writing. There are plenty of great deals out there this Black Friday and this weekend. Need some TV on DVD suggestions for your holiday shopping? Here are some must-haves for any DVD collection and some suggestions for catching up with current TV hits. 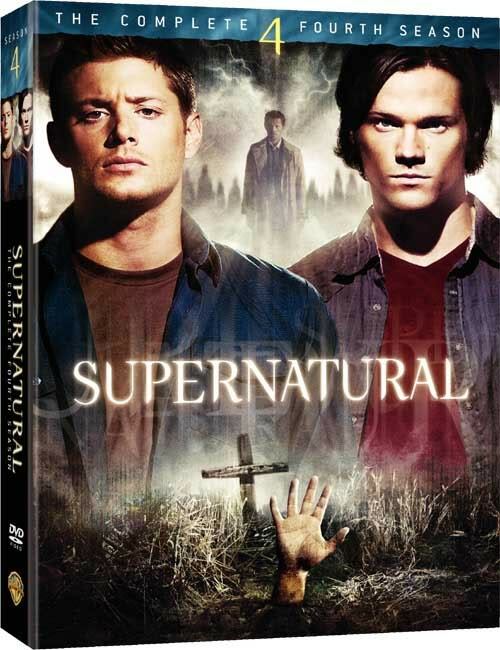 The Apocalypse is here, but the Winchester brothers are going to be taking a little break from the action until January. This presents the perfect time to catch up on the series or discover it for the first time. Watch four seasons of amazing television and find out why the show has grown a strong, dedicated group of fans that continues to grow in its current 5th season. The four seasons are currently on sale, trust me $13 for a season is a steal considering how expensive the sets are regularly. So we all knew Kings’ sad, official fate. But last week’s TCA Summer Press Tour was the first opportunity for NBC execs to say something… ANYTHING about Kings since obviously giving up on the show succeeding even before the show premiered (and it looks like NBC is doing it again with their upcoming post-apocalypse drama Day One, digging its grave before they’ve even gotten comfortable filming). Series creator Michael Green mentioned in his thanks and goodbye note to fans about while NBC welcomed the religious content on the show, they didn’t want to market it at such. A lot to take away from that short quote. Aside from Kings, we can gather NBC would rather not be bothered in promoting “high brow” programming, so called “smart” programs that actually makes viewers think. A quality that many critics and fans alike clamor for on television, but rarely get it, especially on broadcast television. They do like big ideas, but what they are really looking for is a Hollywood blockbuster not necessarily Oscar material. Though who says they can’t have both? UPDATED 10/20/09 – KINGS – THE COMPLETE SERIES is now available! Order it here. Looks 10x better than the original, funny cover art of a giant Silas head and mini David. Haha. TVShowsonDVD also has news about the extras. 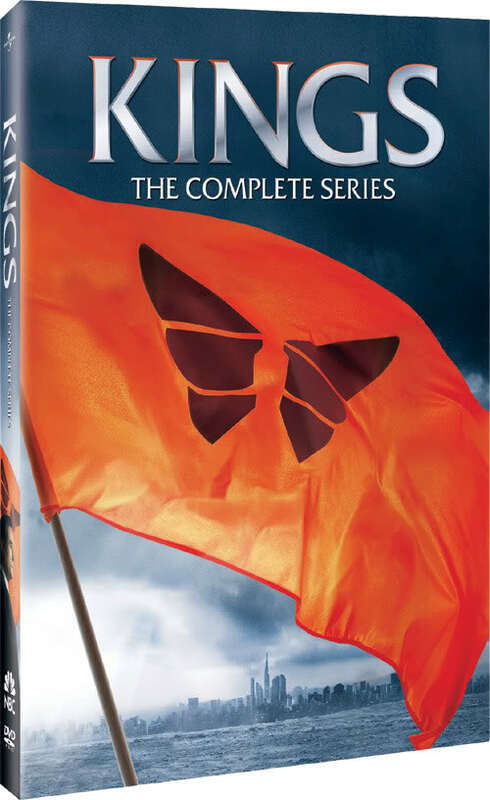 Pre-order the Kings – Complete Series DVD on Amazon.com. Kings creator Michael Green thanks fans in a note posted on NBC’s “Court Historian” website. Entitled “Thank You and Good Night,” Green confirms the end of the series, talks about the production, clears up some misconceptions, praises the cast and crew and thanks the fans who have supported the show through it all. Read the full note here: https://www.courthistorian.com/2009/07/the-new-king-part-2.php. And be sure to leave a comment for him and the rest of the cast and crew and let them know your support as well. Click here to read Kings creator Michael Green’s goodbye post on The Court Historian website. Relive the entire series with full episodes on Hulu and NBC.com. and also on Comcast OnDemand. Jack goes to William conducting business in the boardroom. He tells him four generals and now their press minister are dead, a sign that Silas is still alive. William says he isn’t coming back, especially when they have an army that answers to them. “You’ve been afraid of your father your whole life. Now might be a safe time to grow a pair, and flaunt ‘em,” William says.